Tell me about your wedding. I love to hear the details. It's what makes each wedding unique. 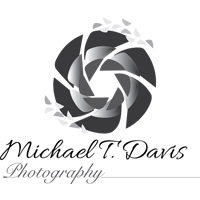 I would love to hear from you and share with you how I can make your wedding most memorable. "There just aren't enough words to describe what an incredible ARTIST, Michael is. On my wedding day, I saw first hand how he was able to take the simplest of things (wine flukes, wedding rings, flowers) and make them into their own masterpieces through his photography. I was absolutely floored at how he was able to set up some of our wedding décor for his photos, and he was incredibly creative in how he captured each moment (he literally laid on the ground to make sure he got THE best shots!). As he took pictures, he also stopped to show me some of the shots he had gotten, which was really exciting. I was extremely thankful at how gracious he is as well. He "went with the flow" when our timeline ran behind, corralled roaming family members for our family photos, and was AMAZING with the children in our wedding party. I was particularly appreciative at how flexible he was in terms of planning for the day and how he always had a calming word or two when I got flustered. He is truly a master of his craft and a consummate professional."